Summer and Autumn are the seasons for festivals in Japan, so I’ve been trying to attend as many as possible before the winter cold sets in. According to my friends who’ve been here for a while, once December hits there’s suddenly no events to be found, so it’s best to soak it all up now before it’s too late. 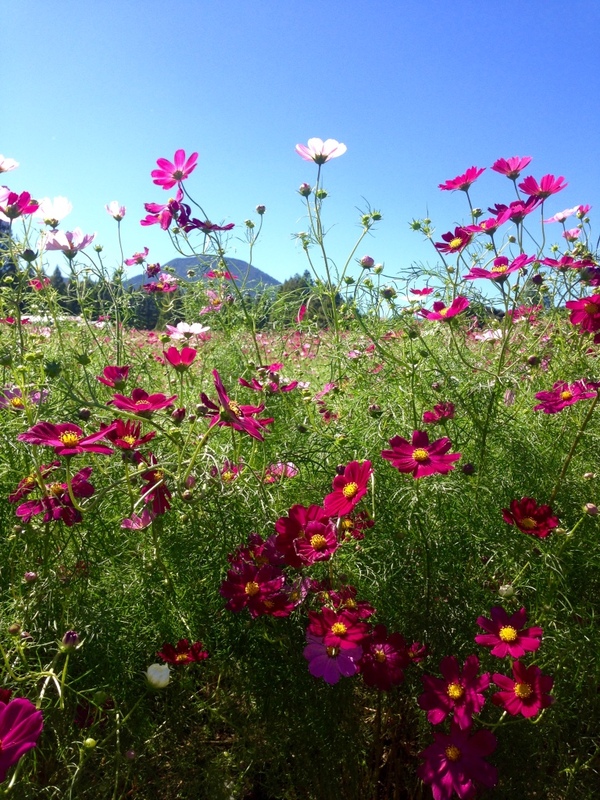 This past weekend I went out with a few friends for a day of cosmos viewing – cosmos being a type of flower. 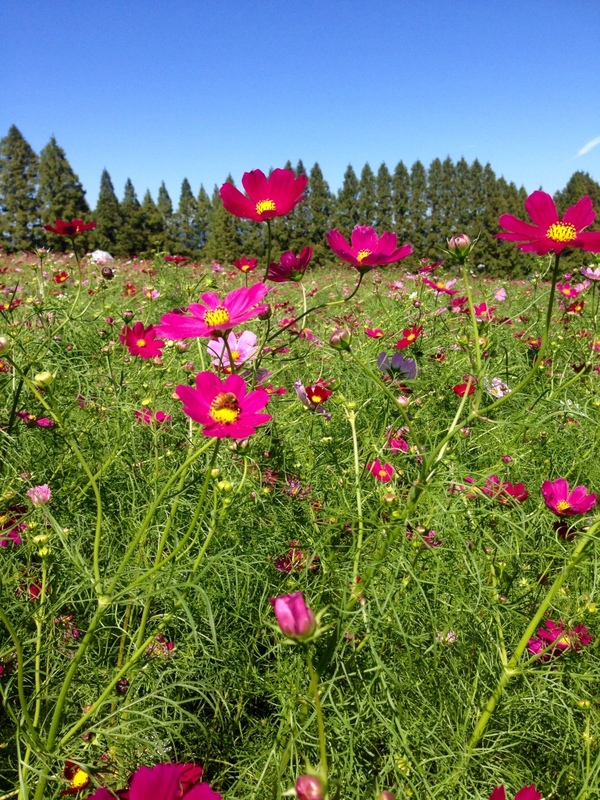 We drove about an hour to the Ikoma Plateau, where a field had been planted with cosmos flowers. 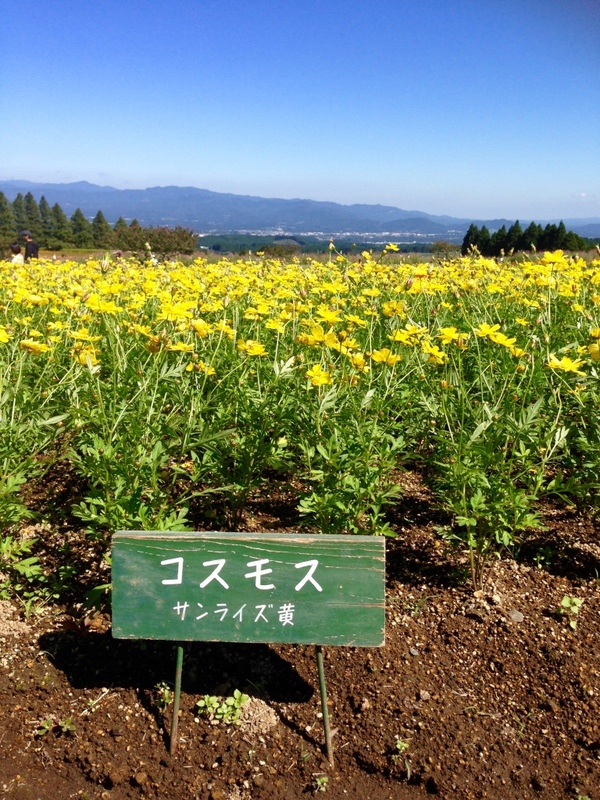 This is pretty common in Japan – seasonal plants are a major draw, and seasons in general are a big deal here. The best example of this is cherry blossoms, which mark the beginning of spring (or end of winter, depending on which part of Japan you’re in). People often go out and “hanami” or look at flowers, and maybe have a picnic or a drink under the trees. The same sort of goes for other seasonal plants, such as the sunflowers I saw a while back, and the momiji (Japanese maples) which will soon be changing colors, and thus drawing massive crowds. 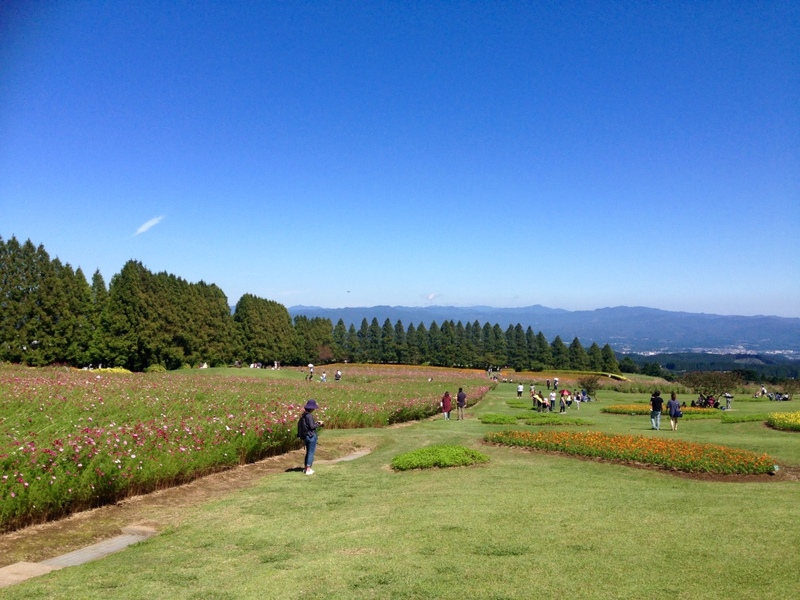 For this particular event, a field was covered in cosmos of varying colors, and for a small fee you could walk through the fields and take photos or just enjoy the scenery. There was also a small stage where musicians played background music and a few tents with food and drinks. There weren’t too many people, which was really nice, especially since my friends went there specifically to take photos. After strolling through the fields we stopped by the food tents for a snack, then drove another hour to Kokubu, a beach town in neighboring Kagoshima prefecture. The draw for the evening was a festival advertising 6,000 fireworks, which we could watch from the beach. One thing about Japan – people here love fireworks. I mean really love them. In the summer you can’t go anywhere on a weekend night and not find at least a few of them, usually as part of a festival. I’m not usually a big fan of fireworks, but this show in particular was pretty amazing. There were just so many of them! And on top of the fireworks, there were also lasers, and the whole show was set to music. The show went on for an hour and the finale lit the sky up with hundreds of gold sparkles. My standards for fireworks have just gone way up! All and all, it was a pretty good day. Now that I’ve officially been in Japan for almost three months, I feel like I’m finally getting into the swing of things. I thought it might be fun to give you a rundown of what an average day looks like for me, and my students. Yes, waking up this early after a year of sleeping in is a bit tough for me, but ya gotta do what ya gotta do. I could probably sleep in later, but I like a lazy morning. Usually I’ll shower, check the news, sip on some tea and eat a bit of breakfast before riding my bike to school. 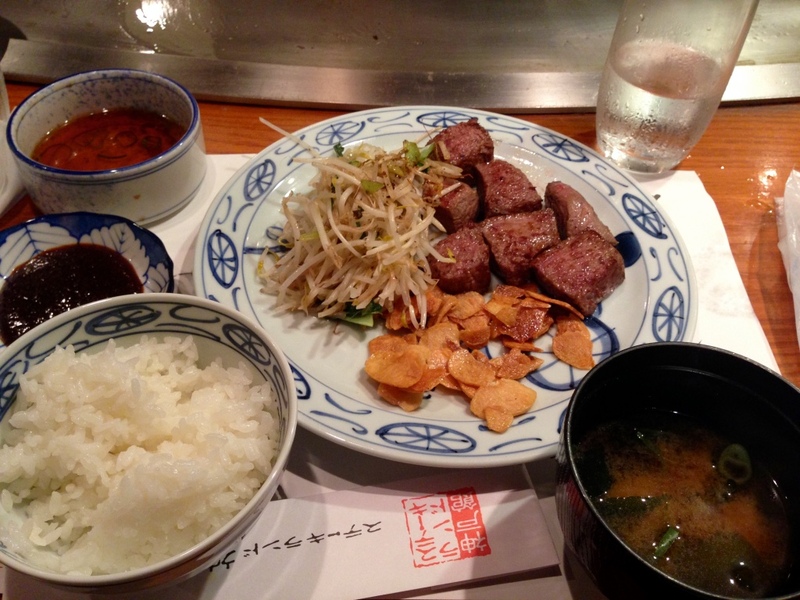 Although my contract says my workday starts at 8:30, Japanese “on time” is more like 10 minutes early. Kyushu on time is closer to 5 minutes early, but I still try and arrive on the early side. After leaving my outdoor shoes in my designated cubby I slip into my teaching shoes and make my way upstairs to the teachers’ room. The proper way to enter the teacher’s room is to say “ohayou gozaimasu!” at a reasonably loud volume and with a super peppy (“genki”) voice. This basically means “good morning,” but if I walked into work at 2pm I would also be expected to say this. It’s just what you say when seeing someone for the first time that day (at least in a work setting). Greetings are pretty important in Japan, and not being able to sneak in quietly definitely encourages me to arrive on time. On Mondays there’s a staff meeting at 8:20, and if I arrive a bit “late” I usually hit the middle of it. I’m not really expected to go to the meetings, since they’re entirely in Japanese, but I usually try and make an effort to attend. If nothing else it’s a chance to practice my listening skills. While classes don’t officially start until 8:45, students are generally at school by 7:30. They have pre-class classes and club activities. I actually don’t really know how they spend their mornings, since I’m never around early enough to see them, and I rarely run into students on my way into school. In any case, there are 7 periods in a school day, I teach anywhere from 0-4 classes a day. Classes are usually 50 minutes long, and instead of having designated rooms for each subject, the classrooms are mostly homerooms. This means teachers are the ones who go from room to room, not students. The only exceptions are specialty classrooms, like science labs or the art/calligraphy rooms, and of course the gyms. This school structure means that each class is a tightly knit group, and they do absolutely everything with their homeroom. Each class has a different atmosphere, and it’s been mostly fun learning how to work with each class. When I work with the senior high students we usually begin class with a vocabulary quiz. Often I am not a part of this, and teachers will sometimes just tell me to come to class 10 minutes after the bell so they can do the quiz and drill the next day’s vocab words before I arrive. They learn roughly 20 new words a day, but I’d be willing to bet money that most of them couldn’t use the words in a sentence outside of the example provided in the textbook. Japanese testing is all about memorization, reading and writing for tests, with very little time given to producing original content. Learning how to work within this system has been a bit of a challenge, one I’m sure I will never really figure it out, but I suppose that’s just the way it is. Anyway, after the vocab test I will often model a dialogue with the teacher, introduce a topic or activity, or correct the previous night’s homework on the board. Each class is different, and each co-teacher is different as well. Some teachers ask me to prepare entire lessons, while others only want me to prepare a few warm-up activities, or sometimes act as a human tape recorder (ie: reading the new vocab words aloud). For the junior high classes I get to have a bit more fun, since they don’t take daily vocab tests. Also, university entrance exams aren’t looming over their heads, so they get to do more practical activities, and the teacher is much more open to speaking activities (many of the high school teachers prefer writing/reading activities, as these are more likely to come into play on entrance exams). I think the junior high classes are some of my favorites, which really surprised me, since I would never in a million years describe myself as someone who likes children. Everyone eats lunch at the same time, all classes, all teachers, all staff. We don’t have a cafeteria here, and the students all eat lunch in their homerooms. The junior high teachers eat with their students, but I think the senior high kids are left to their own devices, since the other teachers all eat lunch in the teacher’s room. 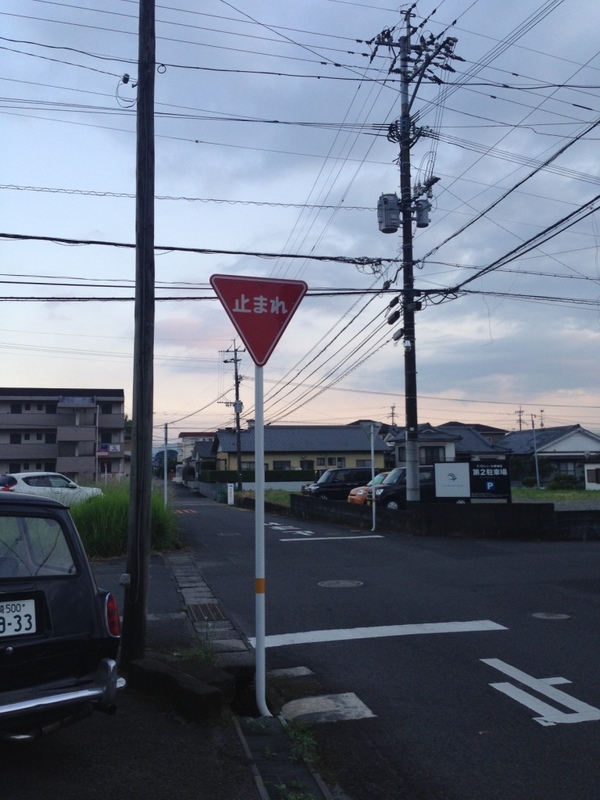 This would be unthinkable in the US, but here in Japan, it works. Because there’s no cafeteria, students are all expected to bring their own lunches. Teachers get a bit more freedom. There are two convenience stores (“conbini”) within walking distance where I could grab lunch, but usually I order it in with the other teachers. Every morning there’s a signup sheet where I can order lunch from one of four restaurants that deliver to the school. It costs between $4 – $8, depending on what I order. The delivery person drops off the food sometime mid-morning, and picks up the empty plates/boxes in the afternoon. 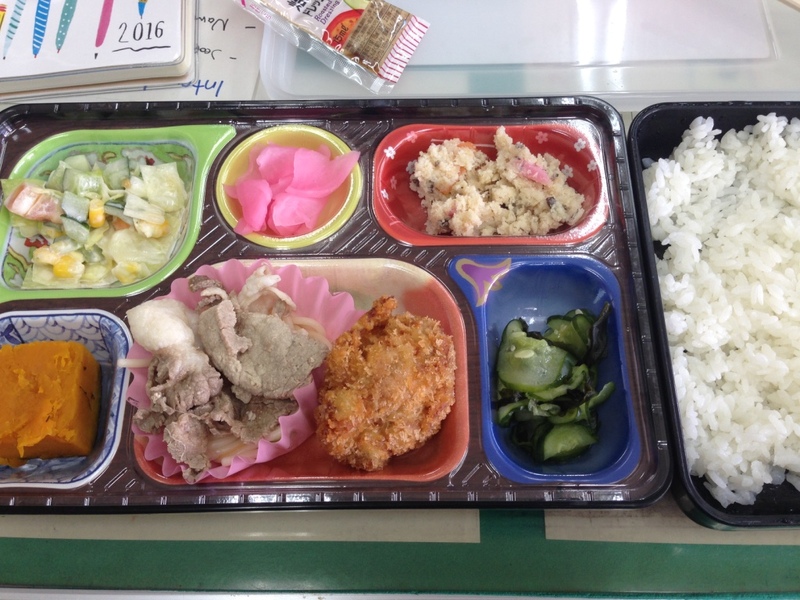 This is really nice because, although most of the lunches come in disposable boxes, garbage sorting in Japan is… often confusing. Because the school has no janitorial staff (more on that in a bit) I’m expected to take home any food-related trash I create at school. The delivery system lets me skip that step, though some of them do provide real dishes, and for some reason I’ve been told we need to wash those before we return them to the restaurant. There’s a learning curve to everything. Japanese schools don’t hire a cleaning staff, and this is because all students are expected to take part in cleaning the school themselves. Supposedly it gives them a sense of ownership and responsibility. In practice it means that most parts of the school are only surface-level clean, and dust bunnies are hiding just out of sight everywhere (though the bathrooms are always spotless). You always know when it’s cleaning time because the school blasts classical music over the loudspeakers. I’ve been told some schools play pop songs, but not mine. We have the same exact recording every day. It really surprised me the first time I heard it, but now it’s become a normal part of the day, and I can tell exactly how much time is left for cleaning by which part of the song is playing (cleaning time is generally about 10 minutes). Usually I’ll help students clean the teacher’s room or the hallway outside, and this tends to be a good time to strike up a conversation with normally shy students. Classes resume as usual. There are four periods in the morning, and three in the afternoon. I often teach 5th or 6th period, but 7th is technically outside of my working hours. I learned recently that most schools have fewer classes in a day than mine, but because we’re a top academic school, the students are expected to study longer hours both in and outside of class. Well…. Not really. Again, my contract says this is the end of my day, but I think I can count on my hands the number of times this has actually been true. Students still have class until closer to 4:50, and often I’ll be asked to stay late and help students prepare for the English Speech Contest. For speech contests the students must memorize a speech and perform it in front of a crowd and panel of judges. They are judged on their pronunciation, inflection, gestures and general impression. Most teachers are done working with their speech students by now, but because my students won the municipal competition, we’re still working hard in preparation for the prefecture-wide competition at the end of the month. These things are full-day affairs, and I’ve been to two of them already (there are high school and junior high school level competitions, as well as smaller contests from local newspapers or tv stations). Some days I’m also asked to stay late to supervise the English club, which meets once a week. While clubs in Japan tend to be serious business, with students coming in on weekends and over holidays to participate in club activities, the English club at my school is very informal, and in the past two months I’ve had a max of five students attend the meetings. I enjoy English club, since we usually just play games or practice conversation, and the students are really funny. On top of speech contest and English club, sometimes I just stay late to chat with students or finish marking compositions, usual teacher stuff. I’d say on average I leave work closer to 5:30 or 6:30 most days, which is still way earlier than the Japanese teachers. Teachers in Japan work some of the longest hours of any country in the world, and it’s not unusual for them to arrive around 7 and leave closer to 8 or 9. In fact, one day I forgot my keys at school, and when I came back to pick them up around 7:30 almost all of the teachers were still working, tutoring students or preparing lessons for the next day. I’ve heard from other ALTs that teachers sometimes stay as late as 11pm, even if they have families back home. It’s a bit difficult for me to understand the system here. I’ll write a bit more about Japan’s work culture in a later post, but suffice it to say, it’s a bit different than the US. Time to return home! Most days I’ll run by the grocery store and grab a few things for dinner or snacks, return home and try to throw together a meal. I’ve slowly been building up a schedule of weekly commitments, such as Japanese lessons, but for the most part I just sit back and watch tv or read a book when I get home. Sometimes I’ll go down and chat with my neighbor over tea, or meet up with friends for dinner, but most weekday nights are quiet. Our last morning in Kyoto we had a tasty pancake breakfast at the hostel before packing up and taking the subway to our final attraction: Fushimi Inari Taisha. 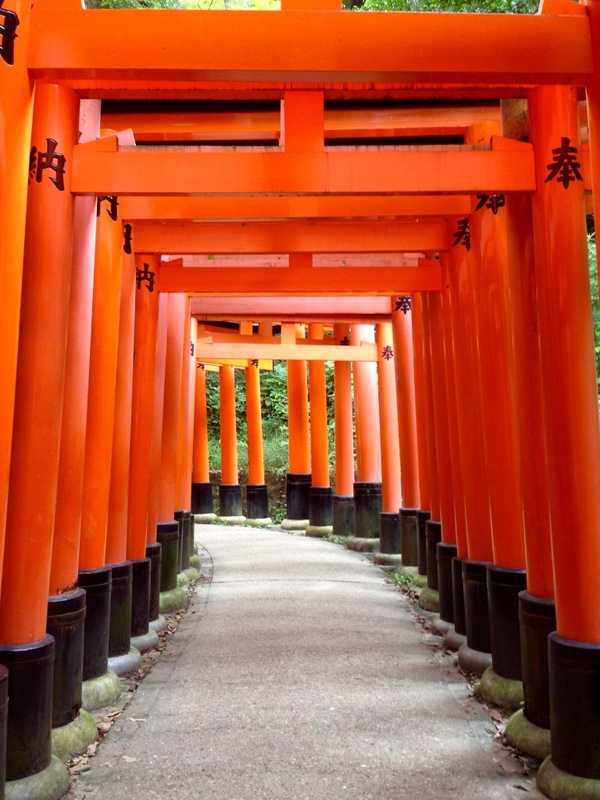 While the other temples we had visited were all Buddhist, Fushimi Inari is a Shinto Shrine. The religions sometimes blend together, but personally I’ve found that Shinto shrines are often my favorite. To start, they’re free to enter (unlike the other temples, which all had a small fee), and I like the way Shinto is all about nature and connections to the natural world. The tori (gates) are what this shrine is known for, and if you have the time and energy you can walk through them all the way up and down the mountain. Sadly we needed to catch a train, so we couldn’t do the full hike. I’ve already decided that one day I’ll go back and hike the whole thing. At temples and shrines you can get “omikuji” or fortunes. If you get a bad fortune you tie the paper near the shrine and it will be purified to remove your bad luck. But my fortune was a really good one, so I got to keep it. Kitsune, or foxes, are found all over Fushimi Inari, because they are known to be the messengers of the rice god Inari, for whom the temple is named. Fushimi Inari was a great place to end our time in Kyoto, as it was by far my favorite temple or shrine. It doesn’t hurt that on the way out I found a delicious twist on one of my favorite Japanese desserts: Taiyaki Parfait! Taiyaki are made with these special contraptions, and this particular taiyaki was unique. Usually they are just a little fish with custard or red beans in the middle, but this guy had an open mouth, which meant you could put other toppings inside, and the tail was filled with custard. After eating a banana caramel taiyaki it was time to go to Kobe, where we had made reservations for, you guessed it, a steak lunch. I’m sooooo glad we made reservations – the line was outrageous, and many people were just being seated when we left, which meant they missed the cutoff for lunch prices. But we didn’t! The steak was delicious, and though I suspect it isn’t the highest quality of the Kobe offerings (the restaurant was called “Steak Land,” not the classiest of monikers) Annin and I both walked away thoroughly stuffed. 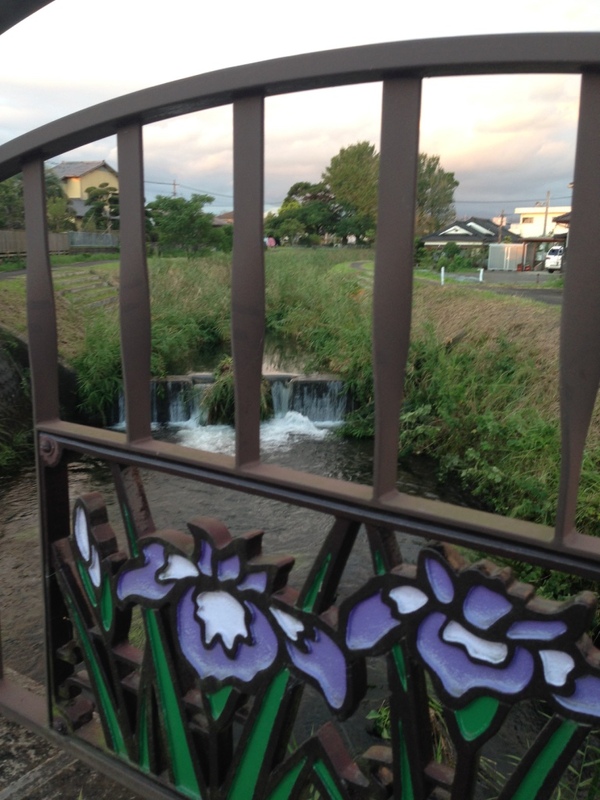 After another hour on two different trains we made it to Tatsuno, where Annin lives. It’s a tiny town with very little going on, but it was pretty cute. We had a lazy evening at home and watched part of The Last Samurai. 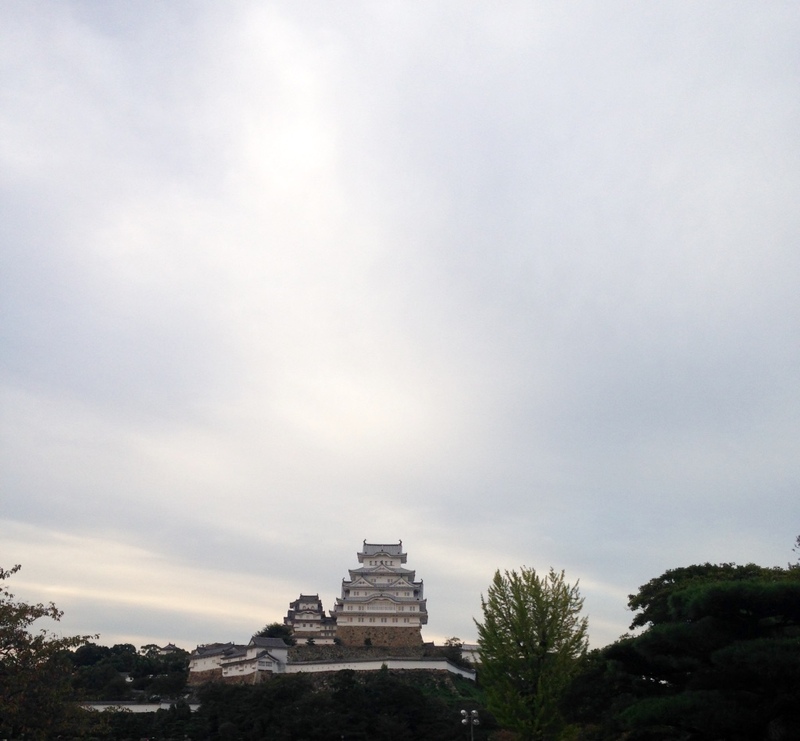 Tuesday was my last full day of vacation, and it was well spent in Himeji. First we went to a gorgeous temple on top of a mountain, where they filmed part of The Last Samurai (which is why we tried watching it. It’s a very long movie….). 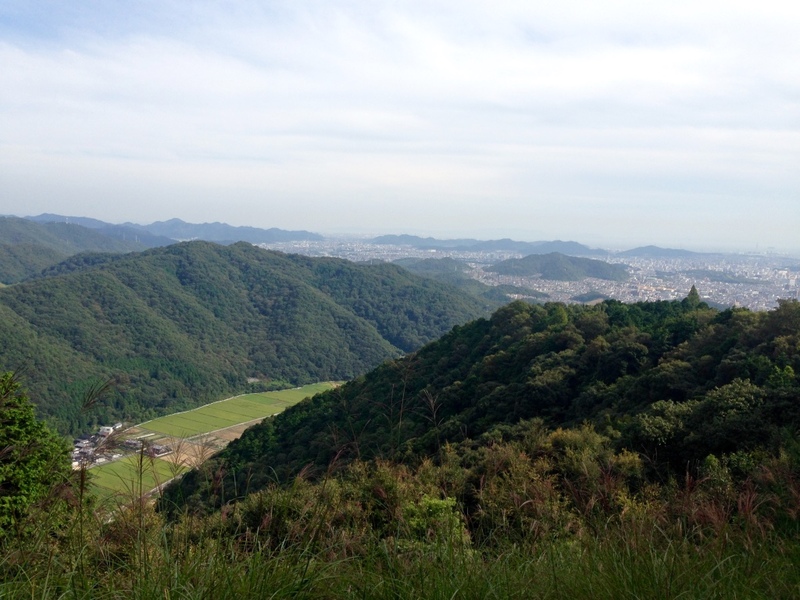 It was very peaceful, and offered some nice views of Himeji and the surrounding countryside. 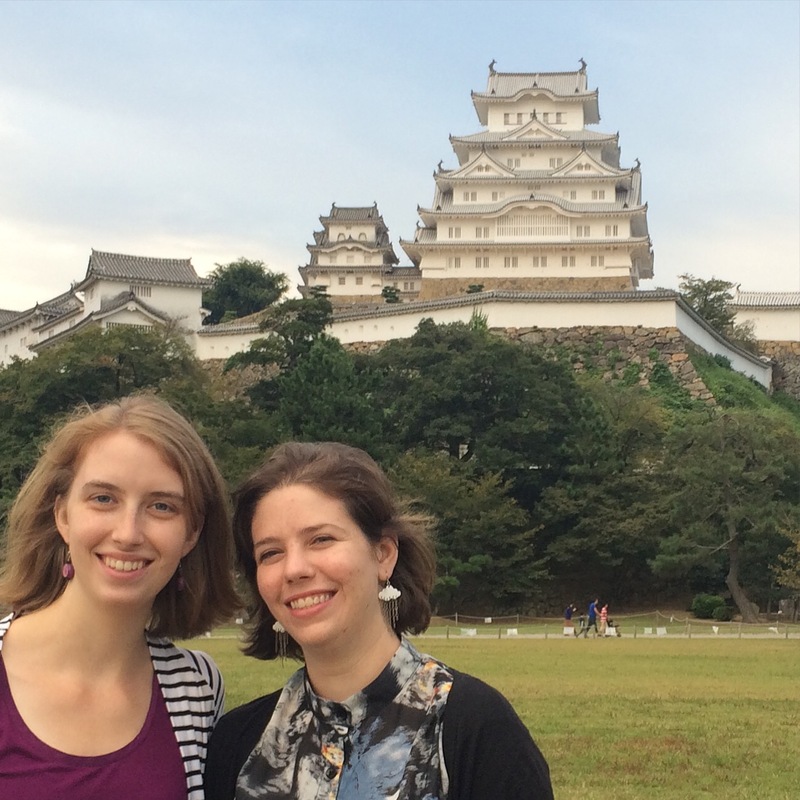 Once we made it back down the mountain (by cable car) we took a bus to Himeji Castle. The castle was under renovation for the past four years and was only just unveiled in the spring, so it was in top form. It’s known as the White Herring, and is absolutely stunning (and massive). Again, the pictures I took don’t really do it justice. 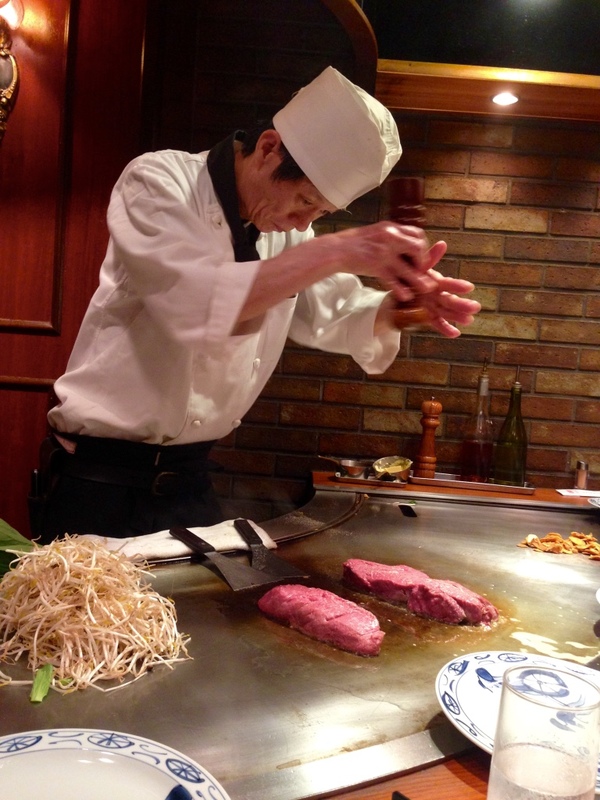 After walking around the castle we had Okonomiyaki for dinner (a Kansai specialty that’s hard to explain. It’s basically a savory cabbage pancake, but it’s super tasty) and went home. Annin made brownies and we marveled at the fact that we’ve been friends for six years now. Time flies! Wednesday it was time to head home. 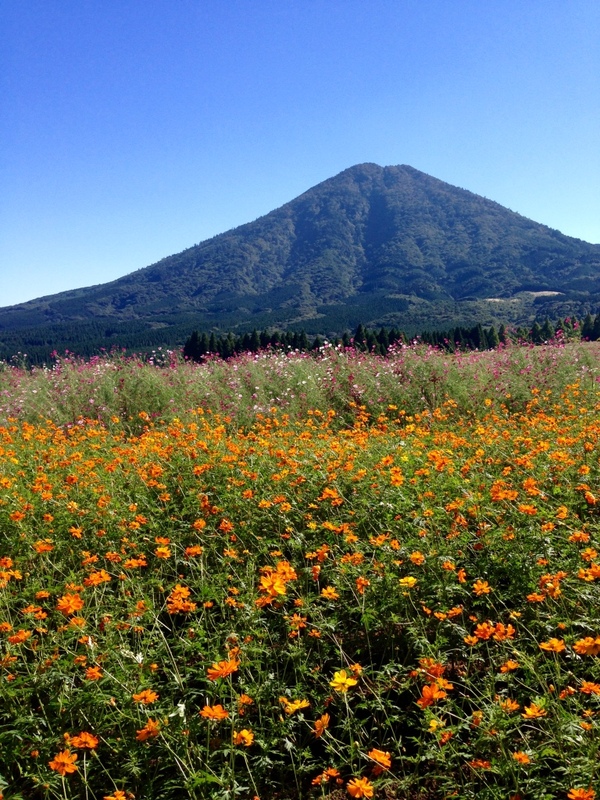 I parted ways with Annin after she promised to come visit me in Miyazaki, and made my way back to Osaka. In Osaka I met up with Brad’s old host family, the Satos. They had invited me to their house for lunch and were absolutely the nicest people. 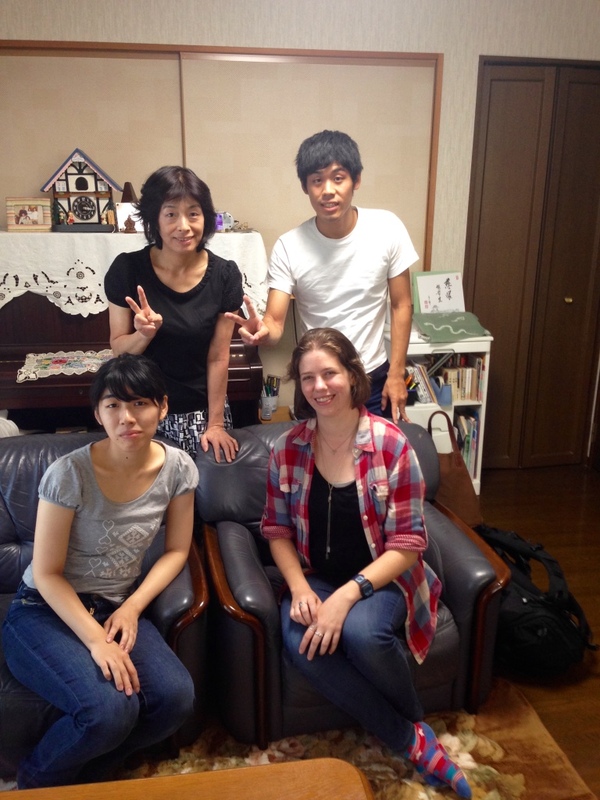 We spent the afternoon chatting in a mix of English and Japanese, and it was lovely. I hope I get a chance to see them again while I’m in Japan. Lunch with the Satos! Norinao, Brad’s old host brother, was taking the photo. I wish he could have been in it! When lunch was over Masaki (their son) helped me find the bus to the airport, and four hours later I was home. 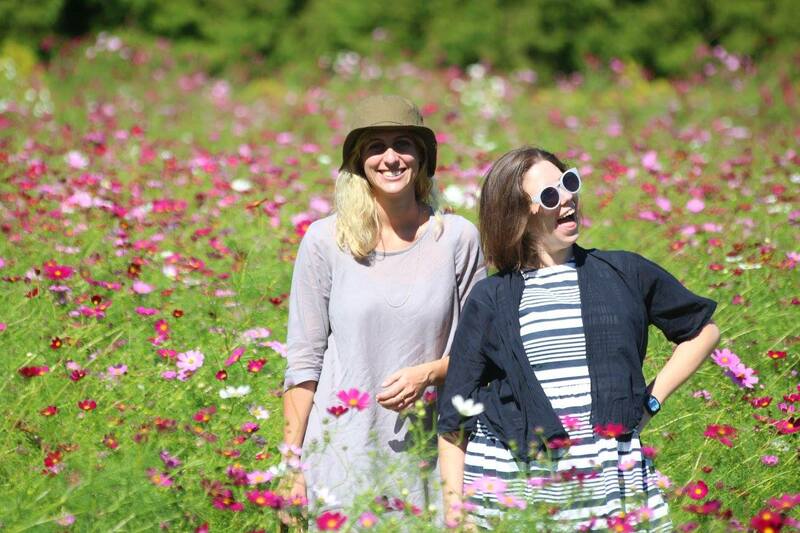 Overall, I had a fantastic time traveling around Japan and hanging out with Annin and her friends. It was great to have a chance to explore some of the most famous places in Japan, and I’m certain I will be back to Kyoto again soon. There’s simply too much to see and do, I could spend a month there and still not see it all. 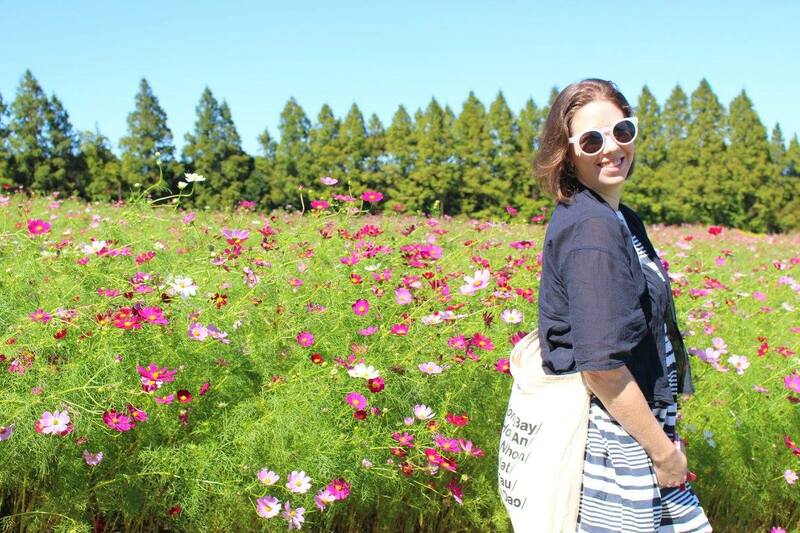 It was also so very different from where I’m living, and lives up to the idea of Japan I had in my mind when I moved here. This isn’t to say Miyazaki isn’t great, or isn’t Japan, but it’s very, very different. I’m sure I’ll write more about this later, when I figure out a way to put this feeling into words. Until then, thanks for reading, I will try my best to post my next update in a timely fashion!